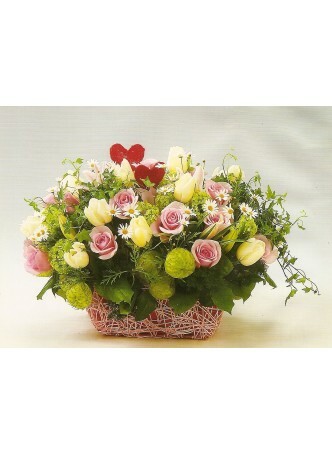 SOFT COLOUR ROSES, SWEET LILIES AND ENCIRCLED BY CASA FRUITS. CELEBRATING WITH MUM THIS SEASON. MUM YOU ARE SO LOVED!